Ahmadis have translated the Holy Qur'an in all the main languages of the world. They broadcast globally on their 24-hour satellite television channels such as MTA 1, MTA 2, MTA 3, (For Arab viewers) and a recently introduced MTA Africa. Ahmadis have provided teachers, doctors and humanitarian relief workers in many developing countries. The fourth Caliph Hazrat Mirza Tahir Ahmad helped to promote homeopathy as a system of medicine by training practitioners through a regular TV class and establishing many free dispensaries around the world. The official Al-Islam website below is a vast online resource of books and videos explaining the movement's beliefs and answering common questions. The Ahmadiyyas are regarded as heretics by the orthodox Muslims because Mirza Ghulam Ahmad proclaimed himself the Mahdi of Islam, the Christian Messiah, and the final avatar or incarnation of Vishnu and also because they do not believe that Prophet Muhammad is the last Prophet. Based on divine revelations, he declared that he resembled Jesus in face and stature, and had been sent to 'break the cross', and show crucifixion to have been a fable. 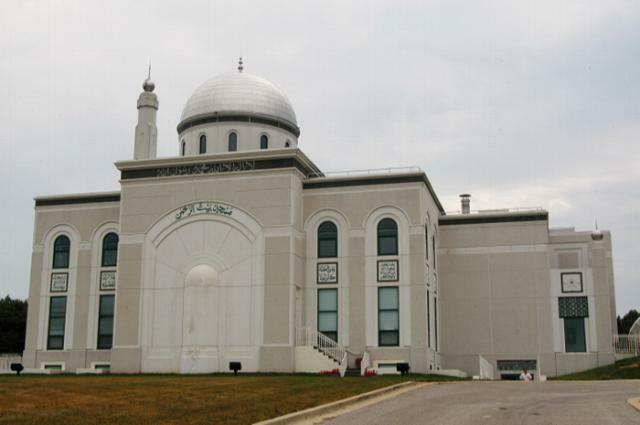 Thus, the majority of Muslims do not refer to the Ahmadis by this name, but use the derogative Qadianis (Qadian, in northwest India, is the birthplace of Ahmad) and Mirzai (referring to Mirza Ahmad). By using these terms, the point is being made that Ahmadiyya is a new religion founded by a particular person at a particular time, unlike Islam which is universal: Muhammad is a Prophet, not a founder, and therefore it is considered derogative to refer to Islam as 'Muhammadism'. The White Minaret and the Ahmadiyya Flag in Qadian, India. 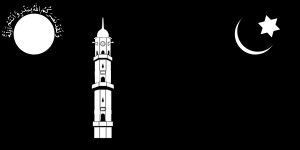 For Ahmadi Muslims, the two symbolise the advent of the Promised Messiah. Ahmadiyya Facts for Kids. Kiddle Encyclopedia.